I can’t live with it, can’t live without it: my smartphone. Sometimes I’ll look up from my phone, half an hour wasted, with no clue how I just spent that time. My favorite is when Johnny asks what I’m up to, and although I’m honestly up to something, it’s not substantive enough that I can form a response that would make sense. But the time-wasting on my phone is just a small part of what I use my smartphone for. And I’m thankful for it every single day of the month except one: the day the bill arrives. And then suddenly I’m telling myself that I don’t really need a smartphone. Smartphones are stupid. They’re the most frivolous, useless things ever invented and belong in the toilet. But those irrational thoughts aren’t reality. Reality is that smartphones aren’t just a fun toy anymore. They’re oftentimes a necessity. Johnny has to have access to email and Internet at all times for his job. I have to have access to Instagram and Pinterest at all times for my… uh, erm… moving on. But despite these necessities, it’s still not easy to make peace with that bill each month. These phones are so expensive!!! Heck, Johnny and I talked about getting smartphones for two years before we could actually justify their monthly cost. But all is not lost! Now that we can’t live without the little monsters, we’ve found that, thanks to a few apps and tools, our phones’ financial impact can actually be positive at times — so much so that being at peace with their cost is becoming easier. Johnny and I track every expense. Wow, even as I typed that, I mentally ran through everything I spent this weekend to double-check that I’d entered it into our budgeting app. I’m a budgeting zombie! When Johnny and I spend money, it’s almost always done outside of the home (unless I’m on an Amazon spending rampage, but that’s another topic for another day). So while we’re out and about, we use our phones to enter any expense into our budget IMMEDIATELY. It makes us more aware of our spending, and we see the impact of each purchase right away. Because of this, I can’t count how many times I’ve almost bought a fairly inexpensive frivolous item (Essie nail polish hoarder right here) but then stopped myself because I know I’ll have to own up to it immediately in our budgeting app. The app we use is called HomeBudget, and we’re kind of in love with it. 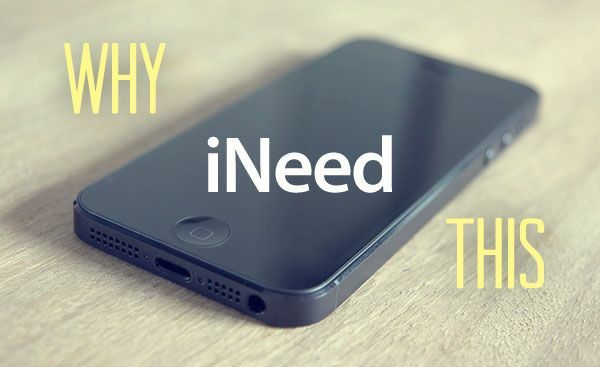 It’s easy to use and syncs to both our phones each time we open it (no sneaky spending in our house!). A GPS system might not be necessary in every part of the country, but where we live, we have to have one. Everything is just so spaced out and shrouded in a cloak of never-ending forest. It’s more than easy to get lost — it’s inevitable. If our phones didn’t have their own GPS, we would have had to buy one for each of our cars. 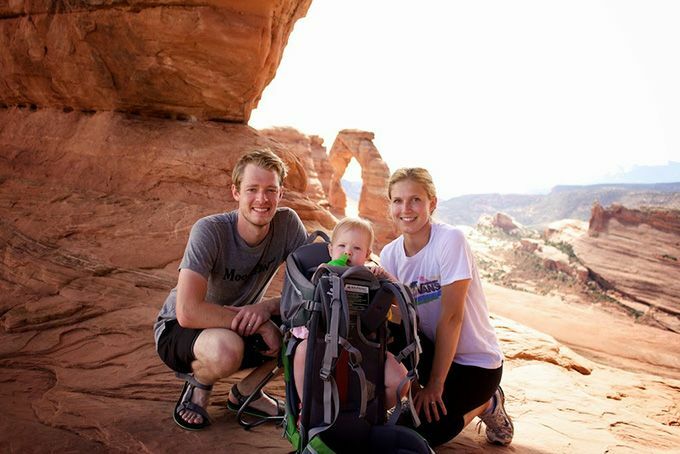 When we moved from the West to the Northeast, we had to open a new bank account at whatever bank was available in the area — from Wells Fargo in Utah to Chase in NYC. And then we moved to Boston, which didn’t have Chase. We’d had enough with brick and mortar and decided to try out mobile banking, something we couldn’t have done without those smartypants phones. Depositing checks by taking a picture still blows my mind every time we do it. But I must say, I haven’t missed my spotty relationship with the grumpy teller behind the counter even once. From meal planning to grocery shopping to checklists, I use my phone to stay organized. I have never gone grocery shopping without a list and walked out of the store proud of the amount of money I’d just spent. That grocery list saves our budget every time because it keeps me on task (and away from the candy aisle). Adding bill reminders to my calendar or to-do list has also been a sanity saver on more than one occasion because I can just type the reminder in and then forget it about it. We like to keep our music fresh in this household and in our car. But constantly updating our music library on our computer comes with a hefty price tag. So we use music apps on our phone like Spotify to listen to personalized stations. The music stays fresh, and it doesn’t cost us a penny. Johnny also uses his phone to listen to boring podcasts on the way to work. Blegh. After listing those reasons, I’m feeling mighty good about our smartphones right now. This has been very therapeutic. Please join in this therapy session. What financial positives do you get from your smartphone? Can you justify its cost? We’re all ears! There are many “financial positives” I can think of when it comes to owning a smart phone. For one, I use Spotify which allows me to stream almost any song for just $10/month (no need for an ipod or paying $1/song for music!). GPS is huge since I can pretty much not get lost as long as I have a signal. I also am able to make productive use of time when I’m waiting, even if it’s just on an elevator! I never use the GPS on my phone, but that’s probably because my car has one and I also have one for my motorcycle (which can also be used in a car). Personally I like it better than what I have seen on phones. I guess the main positive for me is that I can check my bank balance (or CC balance) when I am on the go and I can make a quick stock trade if I had to. It just makes life easier when I am away from an actual computer. Also I get to prove I am right when we have a disagreement over some worthless piece of trivia! Your last sentence x100000! It’s worth its weight in gold for the number of “Look it up on Wikipedia” and “He wasn’t in that movie” debates I’ve settled (and won, obviously) with my phone. If you’ve got an iPhone, you’re probably better off if you’ve already got a GPS unit. BUT, Google released Google Maps last week for iPhone, so that’s good enough for us to avoid buying a standalone unit. I actually like the mapquest app. It woks exactly the same as the car hs without having to pay for expensive updates. Here in GA, there s a lot of new development going on, so new streets are popping up constantly. The app is 100% free! I will definitely give the MapQuest app a test drive — bad pun, sorry. And I’ve never turned down a free app. Haha, yes, of course! It comes out to be about $120-$140 each month… and that’s with a small discount from Johnny’s work. But we’ve found a couple places where we can drop some fat from our plan (e.g., unnecessary minutes), which we plan to do soon. Haha. 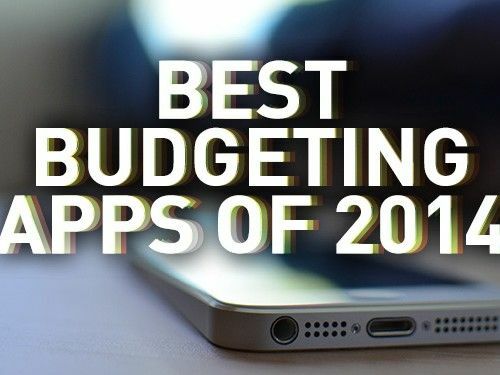 Believe you me, I’ve NEVER budgeted for apps. If it’s not free, it’s not on my phone. EXCEPT for HomeBudget. And the only reason Joanna and I have that on our phones is because we had a $10 iTunes gift card to burn. And burn we did. That being said, it’s become such an integral part of our budgeting lives that we would gladly pay the $10 ($5×2) out of our own pockets if we lost the app. Do you each buy apps seperately or do you share an iTunes account? My fiancé and I both have an iTunes account but they both come out of our joint account so if we buy an app we’ll sign on and share the app so we only pay once. I had no idea this was a possibility. That would certainly make me rethink getting paid apps. Maybe that’s a bad thing. Thanks for the tip, Patricia. Yup yup!!! There’s no way I’d let us each buy angry birds twice. (And all of the spin off games). To sign in and out of itunes go to the featured screen on the app store app and scroll down til you see your name. 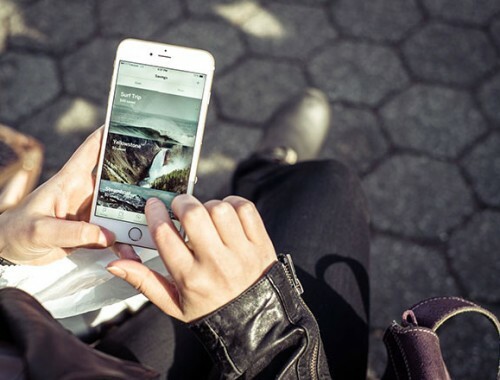 I can justify the smartphone for me because I use it for both personal and work purposes. I need to be connected via email almost all of the time to handle issues that might arise. I cannot justify the expense of my wife’s phone. She really doesn’t use it much and hates it for the most part, but she “wants” to keep it just in case she will use it to all of its potential. I can try to argue, but it doesn’t help. I guess it all boils down to personal need for the smart phones. Myself I’ve never owned one and get on fine in my career and personal life without one. That saves me oh about $1000 a year in cell phone bills. The wife on the other hand has a cell but it’s just a basic cell used for emergencies. She spends about $30 a month on it. Way to go! Hold out as long as you can…. because once you get one, there’s no turning back! Great post! I can absolutely justify the cost! I cut my cable and any tv related expenses before I got rid of my smartphone, because I can pretty much watch anything I want on there too. I need to check out the budget app. I have a spreadsheet to track my expenses, but I need something that records EVERYTHING, otherwise I forget! And what better way to record everything than with the thing you carry with you everywhere. The key is finding what works for you. That could be envelopes or apps or a trusty pen and paper. But for us, it’s HomeBudget. I’ve been contemplating the smart phone for a while now but haven’t had the courage to get one. The idea of being able to deposit checks without going to the atm or the bank is a good enough motivator on its own. Then there’s all the wasted time I could be doing blogging work, instead I have no access to the web with my prepaid texting phone. It’s a major mental hurdle to cross. It took us four years of marriage to make the leap, and we very rarely look back. But we’ve made sure to find ways to maximize our cost with what we get out of the phones. Otherwise, you’re paying $100’s a month for a toy. Good post! I can totally justify the cost. I use it for our business, keeping track of multiple things and accessing my email just to name a few. It’s also invaluable to have when you’re out and need access to the internet and can just whip the phone out and find what you need. It’s incredible how dependent we’ve become on our smartphones. And there’s pros and cons to that. But there’s not a week that goes by where I find myself grateful to have it by my side. Driving directions, price comparison at a store, responding to work email on the road, etc. etc. And wait until those babies show up and they make the cutest poopy faces while ur waiting in line and you can snap 10 pics in 2 seconds! Just the fact that its a decent quality camera in our pockets for every adorable moment is worth it! My Instagram (I call it Babygram) feed agrees with every word you said! I complain about it now, and in just a few short weeks, I’ll be the main culprit. As much as I love gadgets and toys having a smartphone just doesn’t interest me. I have a basic 5 year old cell phone that I only carry for emergencies. When I had a corporate job they gave us all a pager and a cell phone to carry all the time and it really bugged me after a while. So now I am happier not carrying anything. Even after saying all these positive, wonderful perks of having a smartphone, a large part of me envies you. Whenever we get the chance to get away on vacation for a few days, I do my best to disconnect from work/email/the virtual world, and I always love it. So while I might be obligated to keep it by my side for now, I’d love for my future self to no longer feel totally tethered by it. I love my smartphone, enough said! Yes, I think it’s definitely a splurge-worthy item! Tell ya what, I was a very late to jump on board when I got my iPhone last March, but now I am not sure how I ever lived without it. The easiest way for me to justify it has to do with sharing pics and videos of my kids with their grandparents. It is so easy to take some video of my son at his little league game and send it immediately to my Dad, which is JUST awesome! Before I would never get around to sending him pics and videos of the kids but now it is so easy. So for me, it has less to do with the budgeting and finance tools and more to do with sharing special moments with my parents. Oh, such a great point! I’m sure in just a few weeks when our first little one arrives, we’ll be so happy we have our phones. And our families are both very far away, which will make it that much more necessary! I have a dumbphone and an Ipod touch that I use for pretty much everything that you have listed. While I can justify the cost of the Ipod, I can’t really the expensive data plan on a smartphone. With wifi at home and so many coffees and public spaces, I don’t need to be connected that bad. I felt the same way as you… before we got our phones. They are dangerous things because now I can’t imagine not having it! Honestly, the biggest positive I can state about my smartphone financially is that we were getting so screwed by our previous provider every month that our BILL IS THE SAME. They charged us for picture messages that came free with our plan. They said we used the internet even after we had taken them in several times to make sure the internet was off. So when we saw we could get a data plan and free smart phones with Verizon, we jumped at the chance. No regrets. I was paying $75 a month for a basic phone with minutes and texting (which was only like 500 texts a month) and my fiancé at the time was paying $220 a month for him and his ex wife’s smartphones (they were stuck in a 2 year contract after the divorce and him paying her phone til it was up was the only thing she asked for in the divorce) and when his contract was up, we went to go and see about putting him on account and we both got iPhone 4’s. Our bill is now $147 a month for 2 smart plans and a shared minute plan and our employee discount. That alone has made me so glad we made the switch when we did. If we had kept our separate plans it would have been $175(my basic phone and his smart phone)-$200 (if I had a smart phone). My advice- if you make the switch, it’s more cost effective if you can get two phones on the same plan!! Agreed, Patricia! My husband and I were on separate plans up until a year ago, and it was so much more complicated. 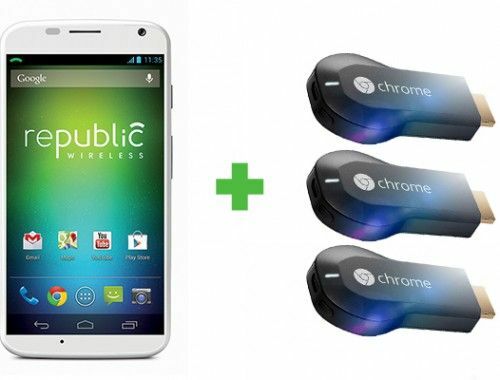 Now, one plan, one bill, and two smartphones! My family just moved into the smart phone era about a month ago…..it was definitely a “want to have” as we could certainly live without them. But boy oh boy are they inappropriately convenient! Especially being hooked into the social media world as I am…..could I process emails and tweets and facebook notifications in a few hours when I get home? Sure…..but it sure is awesome to hear a little buzz and immediately see who loves me. Haha. “Inappropriately convenient” is a fantastic descriptor. The instant gratification is a great aspect. And if you haven’t already, I’m sure you’ll soon encounter a situation (business or otherwise) where your smartphone will save the day. Mine is a work phone and being in media will probably always have one provided for me. All my apps are free (none money saving but certainly useful for productivity in terms of keeping up with news and other reading). The boy’s isn’t really all that justifiable and he does download the odd paid game. Monthly it is only about $10 more than his old phone but the initial outlay for the iphone was nearly $1k. It sounds like you guys have a pretty good set up! Over here, they reel you in by giving you a nice phone for cheap, but then you’re under a 2-year contract, paying a boatload each month. But we’re all hooked nonetheless! I know this is an old thread but I have some questions. 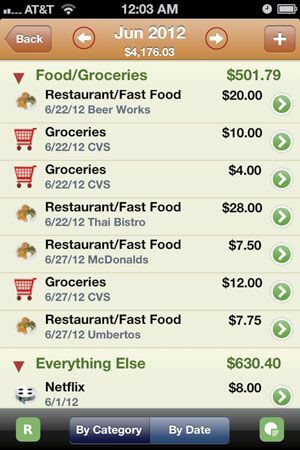 Do you think the budgeting app and the grocery app would work on an itouch without wifi? I’m wondering if an itouch with a dummy phone would work just as well. That’s a really good question. And I don’t know if I have all the answers, but according to their app page (found here: https://itunes.apple.com/us/app/homebudget-with-sync/id306257910?mt=8) it says that it CAN run on an iPod touch. I think the only caveat with an iPod without WiFi would be that you wouldn’t be able to use the sync function with someone else. Maybe it would sync when you sync your iPod into your computer, but I wouldn’t count on it. But if you were just using it yourself, that might be a really good option. Awesome! Thanks for sharing the answer and best of luck with the app. It’s been a budgeting lifesaver for us. Hi there! Just found your page through Roo, via Sherry from YHL. I recently upgraded to an iPhone and have been looking for apps to that are actually useful. I hate to admit, but I’ve only got game apps on my iphone.. not the best use of this great technology! Anyway, this budgeting app looks great so far! It looks like you can have it synced to your banking/cc accounts. I have not ventured into mobile banking or any apps that sync with my banking accounts simply because I fear that if I lost my phone or it’s stolen, all of my info would be “out there”. What’s your take on this? Do you guys worry about that too? Hey Zoua! We love Roo and YHL. So you’re right about the app. It can sync with your banking/credit cards/etc. BUT, we don’t sync them. Two reasons. One, we don’t use the app to see our account balances or anything else because that information is irrelevant for a monthly budget. Two, we like/need to enter transactions in manually or else there’s not enough pain at the register for us. We love Mint for looking at all of our accounts, but we don’t use it for budgeting because it becomes too passive an experience. As far as security, we don’t worry a ton because we’ve enabled some theft protection options on our phones. We use the numeric lockscreen and have it pop up when idle for more than 10 minutes. And then we also have “Find My Phone” installed so that should we lose it or have it stolen, we can track it down and find it. Best of luck, and thanks again for stopping by! Thanks for the reply! I have been trying out HomeBudget and after the limited trial period ran out, I bought it. You know what’s awesome? The app is 40% off for a limited time. I ended up paying $2.99 for it, versus $4.99. This is the first app I’ve purchased.. with gift cards or OOP. I think it’s worth it! I’m so glad you like the app! Hopefully it helps you as much as it helped/helps us. And thanks for the heads up on the discount! We’ll try to let other people know about it. I really don’t understand why people spend 150 bucks a month on an iPhone when they could very well do 99 % of those things with a cheap Android or Windows phone like lumia 520 or galaxy s3/s4 mini I know I went for the cheapest ones here, but I just wanted to prove you that owning a smartphone that has maps, Wi-Fi, utility apps, etc. can also be CHEAP. But hey, if you care more about your image in the society than getting the best bang for your buck, that’s not my business. Thanks for your input, Robert! It’s true that there are some great, cheap options out there. I justify not owning a smart phone by simply looking at the cost and then looking at my income. I don’t have the money. I charge almost everything and I am rewarded with about a one percent bonus paid by the credit card issuer. Once a month I get an itemized bill online. When I worked at a paper, my Blackberry was a Godsend. It was paid for by work. Now that I am retired it is simply not a must-have item. Since retiring, some years ago now, there has not been one thing that I had to do immediately and I suffered because I waited to get home and use my home computer. My GPS is portable and cost less than your monthly smart phone bill. It is portable, running off an internal battery and it plugs into the lighter socket in my car. My present car is the third car in which my GPS has been used. I know lots of young people who love their smart phones but I think many of them would be better off putting the money saved into extra payments on their mortgages.